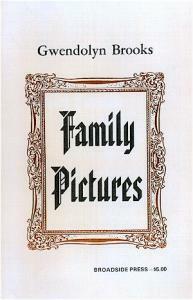 Gwendolyn Brooks was born in Topeka, Kansas. Her mother was a schoolteacher, her father a janitor. 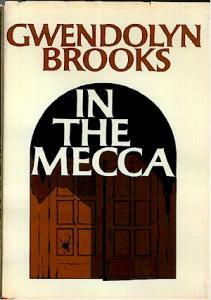 The family moved to Chicago almost immediately, and there Brooks spent most of her life. She attended Wilson Junior College in the mid-1930s, meanwhile meeting and being encouraged by James Weldon Johnson and Langston Hughes. She also wrote a poetry column for the Chicago Defender. In the following decade, she attended a poetry workshop where she read widely in modernist poetry, while also being schooled in traditional forms and meters; her first book, A Street in Bronzeville, appeared in 1945. A key moment in her development came in 1967 when she attended the Black Writers Conference at Fisk University. 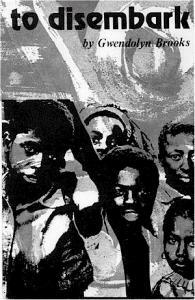 Thereafter she became more active in the Chicago wing of the Black Arts Movement and switched from her New York publisher, Harper and Row, to Broadside Press in Detroit and then Third World Press in Chicago. 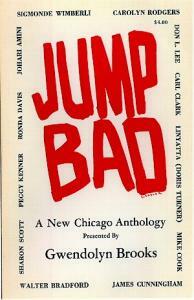 Chicago's South Side black ghetto has always figured heavily in her work; she is in a way a poet of that neighborhood. Yet out of it came poems addressing the general status of race in America in a style that mixes international modernism with local experience. Brooks worked hard and successfully to reach a broad popular audience, but her poems are also deeply challenging. For years, she read them aloud with great success—using rhythm, emphasis, intonation, and strategic pauses to make them accessible—but close attention reveals a rhetorical intricacy that owes as much to high modernism as to populism. Even "We Real Cool," offered here in a captivating blackboard style broadside version, only replicates street slang in its opening stanza. She invented a unique voice that speaks simultaneously from dispossession and from knowledge of the dominant high culture. Gwendolyn Brooks: On "We Real Cool"
Kathryne V. Lindberg: On "We Real Cool"
James D. Sullivan: On "We Real Cool"
Lynda Koolish: On "The Boy Who Died in My Alley"